Utilizing a unique method for projector management, DePaul University, the largest Catholic university in the nation and the 10th largest private, not-for-profit university in the United States, recently installed Sharp Electronics' XG-PH50X DLP® professional networkable projectors in classrooms throughout the campus. In an effort to simplify professors' presentations, alleviate technical problems in the classroom and reduce costs, the university's IT department is overseeing the projector installation and overall use, which is a departure from traditional A/V department management. During the past year, the university purchased more than 200 Sharp projectors, based on positive feedback from the IT department and faculty members. "We evaluated many different models based on network capability, size, theft deterrent features and reliability," said Joseph Salwach, assistant vice president, Information Services at DePaul University. "The Sharp XG-PH50X not only met all of our design criteria, but the built-in RJ-45 LAN connection has allowed us to reduce problems and speed resolution so classroom presentations run smoothly." Sharp's XG-PH50X is designed for presentation-intense environments like classrooms. The built-in RJ-45 LAN connection and Web server allows direct control from the desktop to the projector and enables many projectors throughout a university to be connected to a single network. The IT department can then manage the entire network for remote control, asset management and diagnostics. This helps minimize downtime and expedites maintenance by self-diagnosing system errors, instantly alerting the control PC or e-mailing an error message to a predetermined list. "Since these projectors were installed, the university has seen classroom projector problems decrease more than 80 percent," said Salwach. 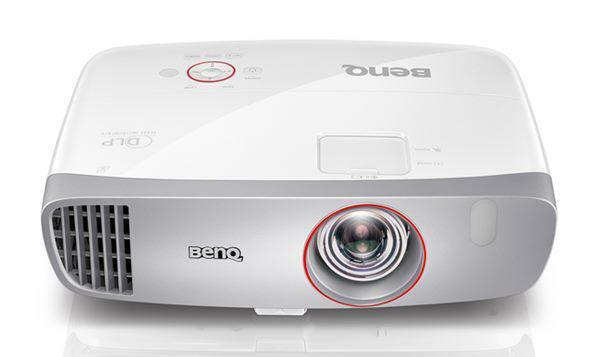 "The advantage of the networkable projector in a classroom setting is that the projector becomes an auxiliary device on a network, saving money and reducing the number of people involved with the management," said Joe Gillio, associate director of display product planning, Sharp Commercial Markets Sales and Solutions Group. "With the IT department as the single point of contact, bulb changes or software issues don't have to get routed to another department and problems can be addressed immediately." The XG-PH50X features an "intelligent" dual lamp design for redundant reliability and uninterrupted presentations. In many classrooms at DePaul, the projectors use a single lamp, or "eco" or low brightness mode, effectively doubling the lamp life and reducing costs. "The XG-PH50X is a proven platform for Sharp and was used recently to develop the new 5200 ANSI lumen high-brightness XG-PH70X, designed for high-end installations and large venues," said Gillio. A, a 1000:1 contrast ratio, six lens options and redundant reliability, the XGA-resolution XG-PH50X delivers uncompromising picture quality in larger spaces such as a lecture hall or conference room. The projector provides reliable operation even during extended use and decreases the overall cost of ownership by efficiently managing lamp life through adjustable brightness settings ranging from 4000 to 1600 ANSI lumens. The XG-PH50X has six lens options providing users with a multitude of placement choices, including up to 70 feet from the screen* or out-of-reach on a high ceiling. Five of the lenses are powered, so adjustments can be made remotely. The sixth lens is a wide-angle fixed focus. Power "H & V" optical lens shift allows the user to adjust the lens horizontally and vertically, minimizing keystone distortion.